What is the best accounting software for retail? The best accounting software for retail is QuickBooks Enterprise. It gives you the entire core accounting functionalities that QuickBooks is known for plus the features and flexibility you need for your retail business such as managing and reporting on your finances, monitoring sales orders and controlling inventory. Fully featured accounting platforms can handle just about any business and industry, but if you’re into retail, you need specific accounting tools geared for this niche. These features include integrated inventory management, POS and multichannel support. Of course, you also need core accounting to keep detailed and accurate records of financial accounts, cash flow, expenditures, income statements, taxes, and other financial information on money coming in and going out of your business. In this guide, we present 20 best accounting software solutions for retail. They have both the retail-specific features and robust core accounting to help you manage your financials. What are the 20 best accounting software solutions for retail? Inventory control. Ability to track inventory and product movements which is important if you want to reduce your overhead and increase profits. Supply chain management. Built-in tools or integration with a system for managing orders, fulfillment, returns, and other supply chain processes. Point-of-Sale. Ability to connect or work with POS tools for processing payments, scanning barcodes, managing special orders, and generating daily reports. Reporting. For analysis and insights on retail sales performance, financial status, purchasing trends, and other important information to guide you in your business decisions. Multichannel capability. It should be able to provide you with tools and capabilities for selling on several channels and capturing, updating, and monitoring all records and details of financial transactions and deals. CRM. Built-in or integration with CRM platform to link transactions with your sales and marketing activities. Retail accounting software comes in many forms. You can go for the full package offered by ERP software providers. These are enterprise resource planning systems made up of a robust accounting and financial management module plus all other business and functional tools to manage inventory, purchasing, product planning, marketing, distribution, and HR (see components of a retail enterprise system in the visual below). There are also retail accounting systems offered as billing and invoicing platforms or time and expense management solutions. The choices are varied and it is important that you match your current and future requirements with the software’s offerings and capabilities. What comprises a complete retail accounting system? Noticed something? They all pertain to your accounting, financials, and inventory. Poor financial and inventory management spells doom for your business and underscores the importance of good retail accounting software that can cover all the important bases. To get you up to speed, here’s our 20 best accounting software for retail. You can also check our best free accounting apps if your budget is tight. Popular online accounting platform QuickBooks has a more powerful sibling. In our QuickBooks Enterprise reviews, we found out how this accounting platform combines QuickBooks’ core accounting function with several other modules, giving you a compact and extendable financial solution package that includes advanced inventory, advanced pricing management, a payroll system, user roles and data access permission, and industry-specific functionality. It comes with robust features and special tools designed for mid-sized businesses involved, not just in retail, but also in construction, manufacturing professional services and non-profit. The software is built for on-premise deployment but offers capabilities to access your online QuickBooks records and financial data. Its retail business accounting solution gives you smart and flexible tools for managing your cash and customers. With its advanced but easy-to-use pricing management features, you can automate and customize product pricing, and set price rules, discounts, and promos regardless of product volume. You get integrated inventory management, a sophisticated way of crunching big data files, advanced reporting and tracking of sales and customer information, and quick pairing with QuickBooks POS software. You have options for a desktop-only plan or with cloud hosting (for storing your files online), which start off at $136/month. You can explore the retail accounting tools more closely when you sign up for a QuickBooks Enterprise free trial. Specialized tools for retail business. You can keep track of your finances, pricing, sales, customers, and inventory with tools designed to keep all of these parts and processes moving together in one direction. Retail-specific reporting. With reporting features designed for retail, you can smoothly track crucial details and elements in your business such as monthly sales, purchase volume, gross margin, returns by vendors, etc. Advanced pricing function. This lets you automate, customize, and control pricing depending on the price riles you set. You can create discounts on quantity, markdowns by vendor, price changes by categories and more, helping you leverage pricing in your favor. Online accounting app FreshBooks is a one-stop-shop solution that is used by millions of sole proprietors, small businesses, agencies, and professional services firms worldwide. The award-winning software is built to be fast and easy to use so you can devote more time in running your business and less time in managing your financials. Its specialties include professional invoice creation, time and expense tracking, seamless project collaboration, secure online payment, simple but powerful reporting, and mobile capability. Designed for small and growing businesses, the software brings with it an array of flexible tools and features that you can use in your retail business such as expense tracking, letting you know at a glance how much you’re spending, what you’re spending on, and how profitable your business is. FreshBooks allows your customers to pay you directly via invoices with the system automatically recording every payment in your account. It can also gather insights into your business’ financial performance and generate reports to guide you in your business decisions. Likewise, the app provides mobile apps to keep you connected with customers, and your accounting records always within easy reach. There are three double-digit figure subscription plans starting with the Lite package at $15/month. If you want to test drive the software’s features, you can easily sign up for a FreshBooks free trial here. Save and maximize your time. In a retail business, time is of the essence. FreshBooks can put in auto mode most tasks of invoicing, organizing and tracking expenses, syncing data across all your devices, and generating reports. It has been reported that FreshBooks users save on average 16 hours each month, precious time they put back into running their business. Built for e-Commerce businesses. The software lets you simplify accounting through custom invoices, customer account management, and payments tracking. It also integrates with some of the leading e-commerce services like Shopify, Bigcommerce, and Magento. Faster payments. You get to receive payments faster as the accounting solution offers secure and hassle-free online payment solutions for your customers. Hybrid accounting Sage 50cloud puts together the power of desktop with the flexibility of a cloud platform. In other words, you deploy it on your computer but get the extra convenience of having a cloud component to store and back up your data anytime, anywhere accessibility. The software is intended for SMBs, a category where most retail businesses belong, and offers core accounting features plus tools to automate accounting processes as well as manage inventory, cash flow, budgeting, invoicing, and taxes, to name some. It can also extend your platform with several add-ons such as office and communication tools, payroll system, and credit card processing. Sage is the world’s third largest supplier of ERP systems and the biggest supplier of technology solutions to small businesses, boasting of over 6 million customers around the globe. What you get with Sage50 Cloud is a world-class product for your accounting needs. The software offers Pro, Premium, and Quantum Accounting plans with the first one going for $44.97/month. You can sign up for Sage50 Cloud free trial here to get a first-hand experience of its features. Sales-optimized accounting software. With Sage50 Cloud, you can easily keep tab of all your customers, quickly come up with quotes and proposals, and instantly transform them to invoices and sales orders. Your retail business is given momentum with such an accelerated process. At-a-glance dashboards. No more going through hidden menus and buttons to access what you need to know about your business. The software provides you with fully viewable dashboards that give you instant visibility on key metrics – receivables, available cash, expenses, expenses, current inventory, revenue trend, sales performance, and many more. Auto-sync. Sage50 Cloud can auto-sync your Sage 50cloud contacts with your Microsoft Outlook contacts to save you precious time. You’ll be able to easily access contact details and customer information such as credit limits, balance, and order history anytime, wherever you are. Cloud ERP system NetSuite ERP is an end-to-end, highly scalable platform that can be used by all types of businesses regardless of size and industry. NetSuite ERP specializes in automating business processes such as financial management, order management, revenue management, inventory management, billing, and fixed assets. It has a retail management component designed to transform your business into an omnichannel-ready commerce platform. NetSuite ERP pricing is by quote since the vendor can come up with a custom package of features for your specific needs and budget. If you want to further explore its capabilities, just sign up for a NetSuite ERP free demo here. Robust financial management system. The ERP system provides integrated capabilities to automate financial planning and processes, generate deep insights into your retail business’ financial performance, and improve operational efficiencies. It gives you real-time financials and accounting as well as automation tools to speed up time-to-value and eliminate errors. Inventory and supplier management. It lets you optimize supply chain and inventory to accelerate delivery time, improve inventory cycle, and enhance sales. You get real-time visibility over your inventory across all channels and handle supplier transactions and dealings from a single platform. Centralized order management. NetSuite ERP lets you manage and fulfill orders from multiple channels in a single location with a single view of all your stocks, inventory, and supply chain. Cloud accounting system Zoho Books is designed for the needs of startups and SMBs. As such, it brings with it intuitive features, easy-to-use tools, and simple interface. It is able to streamline all basic accounting tasks, repetitive accounting processes, and organize your financial records. It has capabilities to manage your company’s bills and invoices, track expenses and cash flows. Likewise, the app helps you create error-free estimates and professional invoices, link to your bank transactions and reconcile your accounts. Monitoring your inventory levels, managing sales orders and POs and scheduling reports are made simple with the software. It also provides you with real-time data, process online payments, and keep you tax-compliant. The powerful system gives you all the accounting and financial tools you need to efficiently run your retail business. Three paid plans are available with prices ranging from $9 to $29/month. You can sign up for a Zoho Books free trial here if you want to take the software for a spin. It’s part of the Zoho ecosystem. This means that Zoho Books integrates and works well with most other products in the more than 40 business and productivity apps of the Zoho family. You can have a fully extensible platform right in your accounting platform without the need for any third-party apps. But if you need to, it integrates with dozens of external apps for payment, document management, POS, tax management, bills and expenses, and time tracking. Accounting automation engine. The software is able to automate error-prone tasks that are high-volume and time-consuming – from tedious business workflows, following up on customer payments to sending out recurring invoices. It can even put on auto mode categorizing transactions so you can deal with them even hundreds at a time. Accounting + inventory management. Two crucial aspects of retail operations are managed by one system that can track your products, monitor stock levels, and help you replenish immediately when needed. You can record and monitor inventory in real time and stay updated via comprehensive inventory reports. Formerly known as Sage One, easy-to-use online app Sage Business Cloud Accounting is targeted at freelancers and small businesses. The software is designed to help you move your business forward with features to manage your cash flow such as expense tracking, payments, and invoices; automate repetitive tasks like reconciling banks accounts by automatically matching transactions to your financial statements; and tracking each and every business transaction from one place. All these capabilities let you take full control of your finances while showing you where your business stands. It offers integration with dozens of third-party apps and services, and is available in two low-cost monthly subscription plans at $10 and $25/month. You can sign up for Sage Business Cloud Accounting free trial here to test the software for yourself. Why choose Sage Business Cloud Accounting? Small business software. The solution is built to address the needs of small business offering tools for core accounting, expense management, online payment processing, inventory planning and tracking, billing and invoicing, quotes and estimates, and data backup. These are tools required for your retail business. Mobile accounting. You can operate your business while on the go through mobile apps for Android and iOS devices, which allow you to access your online financial data, monitor and organize your transactions, transform quotes into invoices which you can send quickly, and view financial performance for any given period. Compliance solution. Sage Business Cloud Accounting eliminates the mess and worries when it comes to tax time. It keeps you updated and compliant with tax laws by automatically calculating what you owe from your sales and income. Payment automation solution Tipalti makes it easy for you to streamline payment processes and mitigate account payable risks. It does these through tools to help you manage invoice processing, tax compliance, supplier onboarding, global payments, and payment reconciliation. The app also helps you handle business challenges such as late payments, non-compliance, administrative and financial overload, and the all-too-common but avoidable human errors. Retail businesses often struggle with complex processes involved when it comes to paying vendors, suppliers, and partners as well as complying with various tax regulations especially when you operate at a global level. Tipalti offers tools and capabilities designed to optimize, automate, and efficiently manage your accounts payable so that you’ll always be accurate and on time with your payments, are tax-compliant, and free from fraud and risks. The software is offered through quote basis. You can sign up for a Tipalti free trial here to get to know how it works. Solid reputation. Tipalti is backed up by years of accounting experience in the field of global supplier payment automation and is considered a one-stop-shop solution when it comes to supplier payments and accounts payable. Payment automation platform. The software boasts of being able to automate over half of all operational payment processes across 190 countries, making it a global leader in accounts payable, payment recording, and financial reporting. Worldwide tax compliance. If your retail business operates on a global scale, you need to be compliant with both local and international tax regulations. Tipalti helps you with these by depicting the right tax automatically wherever region in the world you sell. In our Zoho Invoice overview, we discuss how the highly rated online invoice and accounting solution is able to simplify vital financial processes. Among its highlights and capabilities are managing and monitoring invoices, keeping tab of transactions, accepting online payments, tracking expenses, and running expense reports. The system simplifies financial and accounting activities – from accurately recording foreign currency expenses and invoices, automating repetitive tasks like payment reminders and sending out recurring invoices, to facilitating sales orders. Zoho Invoice provides customizable invoice templates, wide integration with a variety of apps, and mobile versions of the software for invoicing on the go. Furthermore, it offers a free edition of the software and three subscription plans that start at $9/month.If you want to know what it can do for you before diving in, sign up for a Zoho Invoice free trial here. Extensive integration. Zoho Invoice works not only with other Zoho apps but also with third-party software and services such as payment gateways, online file storage services, document management tools, and other business apps. Best-in-class invoice templates. Making invoices is a tedious process. Zoho Invoice helps you save precious time by providing a gallery of invoice templates where you can choose and use free templates, customize and personalize them and, once completed, send them instantly to your customers. The whole process can be done in a couple of minutes but once you get the hang of it, it will just take you a few seconds. Built to be fast and simple. Zoho Invoice carries the trademark of a Zoho product – it is fast, responsive, intuitive, and simple to use which are part of the reasons why Zoho apps are some of the most popular business and productivity solutions around. Business accounting OnlineInvoices makes it easy for you to manage your financials, create invoices, keep track of payables and receivables, and calculate taxes. Intended for SMBs, it comes with built-in capabilities specifically for retail store billing and accounting. Retail management is facilitated with tools for issuing and printing sales invoices, quick adding of discounts and taxes to invoice, tracking of sales and revenues by employee or time period, tracking of store expenses, and managing sales and purchases. It also keeps tab of movements in your stocks with inventory tracking, and can monitor and assign work through staff management features. OnlineInvoices offers a free plan and three budget-friendly paid packages that start at $9.95/month. You can sign up for OnlineInvoices free trial here to test out the software and see if it meets your expectations. Online or in-store invoicing. You get the flexibility of using the software for online invoicing or invoicing right at your brick-and-mortar store. It lets your online customers log in anytime at your online store, and make payments through online payment services. For follow-ups, you can email PDF invoices with reminders, or print invoices send them by mail. Inventory control system. OnlineInvoices helps you manage supplier lists and contact information, create and send POs, and automatically update stock levels each time POs and sale invoices are made. It also assists you in monitoring stock movements and notifies you when inventory levels run low. Three vital management systems in one platform. Three integrated modules are at the core of the software – invoice and sales management system, client follow-up and management system, and inventory management and control – which cover all important operational and administrative aspects of your business. Cloud invoicing Invoice Meister is built for startups, small businesses, and freelancers. It is equipped with all essential features for handling your finances and specializes in one of the most crucial areas of accounting – creating and managing invoices. Together with receipts and bills, invoices are source documents for accounting and are used to record and track sales transactions by item, period, volume, frequency, profitability, salesperson, and many other variables. With Invoice Meister, you are able to create quotes and convert them to online invoices, monitor your expenses, get paid faster, and produce accurate reports about your financial performance. The software can also automate daily activities such as recurring invoices as well as notifications. Three subscription plans are available beginning at €7.50/user/month. Sign up for Invoice Meister free trial here to experience how invoicing is done with this software. All-around accounting and invoicing solution. Everything you need for your retail business accounting and invoicing needs is offered by Invoice Meister. It can manage online invoices, create and send quotes, accept online payments, etc. Flexible and easy to use. The software system offers easy navigation, intuitive features, and effortless configuration so you can use it the way you want it for your business. Bank-level security. Your online data, records, and payment transactions are secured with bank-level safeguards, PIN security, automatic backups, and role access permissions. In our 1&1 Online Accounting review, we were able to validate the product’s tagline “accounting made simple.” Developed by a UK-based Internet solutions provider, the software is designed for the needs of SMBs and brings with it features to automate accounting processes, eliminate paperwork, drive productivity, and enhance efficiency. The software package is made up of three modules – quotes and invoices, accounting, and inventory manager – vital tools and functions for your retail business. You can purchase a subscription for the three separately, but with accounting paired with invoice, and inventory manager lumped with the first two. The plan price for the invoice module alone is pegged at $4.99/month while the full package of three is priced a little higher but gives you all the features for creating and sending invoices, tracking expenses and automating bookkeeping, and managing your inventory levels. Want to see for yourself how accounting can be made simple? You can sign up for 1&1 Online Accounting free trial here. Why choose 1&1 Online Accounting? Professional invoices. The software lets you create quality quotations and invoices with automatic entry of customer details through pre-built templates that can be personalized with your logo and branding. Customer data visibility. You can easily access and view customer contact information anytime since all data and records are stored in a secure and centralized online location. The system can automatically pick the required information every time you need to manage your books, create an invoice, or update your inventory. Scan and text recognition tool. 1&1 Online Accounting offers a smart mobile app that allows you to scan invoices and documents, capture important information such as dates and invoice numbers, upload them to your online storage, and have the system retrieve them to fill up the forms and documents you’ll be preparing. The omnichannel Brightpearl takes care of your business’ front-end and back-end operations. The cloud-based platform helps you manage all your retailing activities including managing orders, inventory, shipping, suppliers, customers, and even warehouse operations. It has powerful automation tools, integrated POS, and multichannel capability which allow you to take full advantage of the software regardless of what e-commerce platform or online marketplace. Brightpearl is designed to scale as your business grows and is able to match your expansion whether you sell from a single channel or across complex multichannel retailing sites. It also has a built-in accounting and financial management module designed specifically for the requirements of modern retailers. Brightpearl is available through flexible custom pricing depending on your business’ requirements. Automatic, real-time retail accounting. The software’s integrated accounting function kicks into gear whenever inventory gets updated and orders are invoiced, paid, shipped. It automatically creates journals and quickly populates your balance sheet, income statement as well as accounts payable and accounts receivable reports. Full visibility into financial performance. You get a complete view of your business and financial performance, allowing you to determine your best performing sales channels and real-time total asset values. Each of your journals stays connected to inventory update and order activity, giving you visible audit trail across your whole business. Complete end-to-end retailing solution. You can easily do accounting tasks, track stock and inventory levels, manage customer orders and information, coordinate with vendors and suppliers, and get instant status reports on any area of your business. Fully featured accounting software Xero gives you nearly two dozen features to help you manage every part of your business. It carries a customizable, quick-glance dashboard for tracking your cash flow, sending online invoices, and managing stock and inventory. Xero allows you to link to your bank so that transactions automatically flow into the accounting software for every business day. Since it is intended for startups and small business, the software brings with it handy and intuitive features to help you with quotes, purchase orders, online payments, files storage, reporting, business performance analysis, and sales tax. Xero integrates with dozens of payment gateways, payroll systems, e-commerce platforms, and productivity apps. Three premium packages are available with prices ranging from $9 to $70/month. Affordable system. Xero provides three budget-friendly subscription plans starting at $9/month. For your small retail business, you may not need full-featured platforms when you’ll only be using a few tools to manage your financial business activities on a daily basis. Multi-currency accounting. Your online retail business is a global store and can be reached by customers from around the world. Xero supports 160 currencies, giving your customers the convenience in paying you with their local currency and choosing any online payment app or service. Xero automatically takes care of currency conversion in real time and immediately updates your reports to reflect the prevailing rates. Online invoicing. Aside from easy online payment options, Xero also provides an online invoicing tool so customers can send you their payments fast. With pre-built invoice templates, you can create professional and personalized invoices complete with your logo or branding elements. The system can schedule and send automated invoice reminders to your customers and even lets you see if customers have viewed the invoice and made payments. Small business accounting FreeAgent is a web-based solution targeted at startups, freelancers, and accountants. It is a feature-filled platform built to help you keep track of your finances and oversee your financial operations – from creating and sending estimated and invoices, managing expenses, monitoring cash flows, automatically importing transactions from your bank accounts, recording time with smart timesheets, to getting an overview of your financial and business performance. Keeping tab of your finances can be done on your mobile device or desktop computer. It has multi-currency invoicing capability and multi-language support to help you reach customers worldwide. It also provides integration with several apps and services like payment gateways, CRM, project management platforms, and reporting and analytics tools. Unlimited everything. It offers just one subscription plan – $10/month for the first six months and $20/month thereafter. With that rate, you get to use the software regardless of how many users and customers you have. Likewise, there are no setup fees or contract required, and you can cancel your account anytime. Built-in timesheets and stopwatch. These come in handy if you have employees who help you run your retail business. The tools let you keep accurate time records for purposes of payroll and tax compliance. Facilitated online payments. The software allows payment by your customers through Stripe, GoCardless, and PayPal which is ideal for online retailers. Payments from all major credit card providers are accepted, as well as bank transfers from over 80 countries around the world. QuickBooks Online benefits include: 1) It is available in low-cost subscription plans; 2) It’s designed for the needs of independent accountants and small businesses; 3) It is applicable for a wide range of industries; 4) and it comes with an array of smart tools. It’s also a cloud-hosted platform that can be accessed from your Mac, PC or mobile devices. The best-in-class accounting solution lets you track income and expenses, create invoices, accept online payments, send estimates, manage bills, oversee inventory, run reports, track time, monitor sales, and prepare taxes. QuickBooks Online has a version specifically built for the needs of in-store, online, wholesale, and retail businesses, which allows you to organize and manage your inventory and sales in one place. Easy data access. Your financial data is consolidated, stored, and secured in one centralized online location that you can easily access anytime you need to from whatever connected device. You have full control on who can access your company’s financial records. Keep tab of everything you sell. The software allows you to track every item you sell from whatever channel and record everything – daily sales, creation and sending of invoices, capturing transactions through sales receipts, and running instant reports. Stay on top of your inventory. Inventory management is one of the many highlights of QuickBooks Online. You’ll be able to keep an eye on inventory on hand which is automatically updated whenever an item comes in or is sold; get real-time inventory values which are auto-adjusted in your balance sheet; and keep track of purchase orders from every supplier. Free accounting software Wave is a cloud-hosted platform for entrepreneurs, consultants, freelancers, and small business. It gives you an integrated solution for accounting and invoicing (including mobile invoicing) as well as managing recurring bills and receipts. It comes in a simple and compact package with an at-a-glance dashboard for quick viewing of your invoice status and cash balances. The app simplifies your accounting processes and lets you easily manage your cashflows, get robust reports on financial health such as profits and loss statements and sales tax reports, track expenses and income, and create custom invoices. It can also update in real-time your payments, payroll, and invoicing data, and run multiple businesses from a single account. It’s absolutely free. It’s hard to believe that this powerful and feature-rich accounting solution cost nothing at all. But it’s true. There are no hidden charges, no monthly fees, and no set-up fees. Still, you get all its features along with unlimited credit card and bank connections and unlimited expense and income tracking. Receipt scanning. This gets rid of manual expense tracking. Using Wave’s free mobile application, you can scan receipts anywhere, anytime and the software will automatically sync the receipts to your account to give you an accurate record of your business expenses. Mobile invoicing. You get iOS or Android app that lets you do invoicing on the go for faster payments and for running your business from anywhere which is quite useful if you manage an online store. Cloud-based system FinancialForce Accounting for Salesforce is designed to automate and streamline your financial activities on the popular CRM platform. It offers automated billing, general ledger, business intelligence, and accounting tools, all combined in one solution that leverages the power and efficacy of Salesforce. This direct integration between two robust platforms enables you to utilize one record system to manage your financials and streamline your accounting workflows for greater efficiency and better consistency. The software lets you automate billing and creating of invoices, and eliminate time-consuming tasks like manually putting entries on spreadsheets. You can also automate orders by batches or per item in just one click to improve order cycle times, enhance your cash flow, and grow your sales capacity. The solution integrates with popular e-commerce, payroll, inventory management, and supply chain management tools. It is available in functional business modules that are priced on a quote basis. 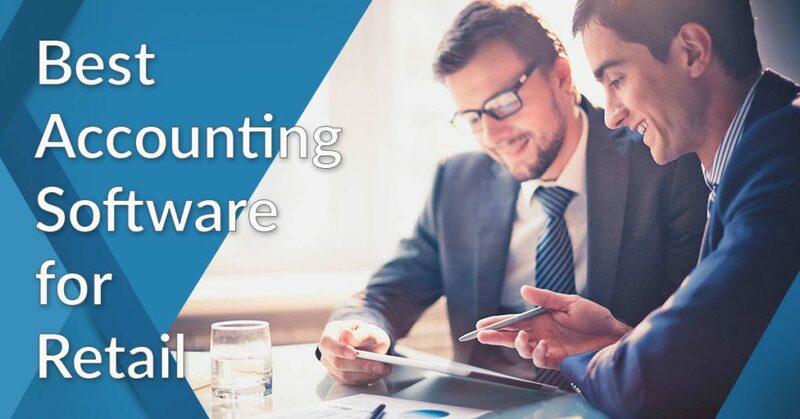 Why choose FinancialForce Accounting for Salesforce? Power of two. You get the power of two of the most capable cloud software in one solution working for you to take care of compliance, reporting and recording, and managing revenue while building up your customer base. Automation powerhouse. The software’s general ledger lets you manage and automate tedious processes like reversing entries and recurring journal entries. It has e-invoicing and can put on auto-mode tasks and processes like authorization workflows, payment allocation, vendor payment through electronic bank transfers or check, computing discounts, sending of financial statements and ready-made messages to customers, and billing through an automatic invoice generator. Real-time financials. Your retail business never sleeps especially if it’s an online store. Hence, you need real-time accounting for your business. FinancialForce Accounting on Salesforce lets you know exactly how your business is performing at any given time through instant reports and financial analysis. Bookkeeping app KashFlow is used by over 58,000 small businesses and retail sellers in the UK. The online solution enables you to make quicker payments, manage your accounts, easily create quotes, come up with professional invoices, monitor expenses, comply with taxes, and balance your books. You can do all these and more yourself even if you’re not an accountant as the software takes care of doing all the heavy lifting and calculations so you can concentrate on running your business. The software offers dozens of integrations with external apps and platforms such as e-commerce sites, online payroll systems, sales tools, shipping and delivery services, and payment gateways. KashFlow is available in three affordable paid plans with prices ranging from £8 to £21 per month. The highest paid plan comes bundled with KashFlow’s payroll software. Fully customizable invoices. You can do just about anything with your invoices on the fly – control its look, reflect your branding, edit it, create it as PDF, automatically fill it up with the necessary information, display custom fields, and notes and comments line to it for your reference, print it barebones or complete, write it off for refund purposes, add any currency, and so much more. Efficient reporting. Know the health and status of your finances through reporting that shows your balance sheet, profit and loss, and sales and transactions, among others. Your business in your pocket. The software offers mobile apps with KashFlow Go so you can run your business from wherever you are, send invoices on the go, and get paid online faster. You can even do online banking through the cloud software will all your data and transactions encrypted. On-premise accounting software AccountEdge is a feature-rich solution for small businesses. It works on Mac and Windows computers, giving you a command center on your workstation for running and reporting on all areas of your business including purchases, orders, sales, invoicing, inventory, time billing, and payroll. It doesn’t lock you in on a currency which means you can use it in any country or region of the world. You can easily set your home currency, add as many currencies to the system, set whatever sales tax applicable to your country, and the accounting software does the rest. The software integrates with external full-service payroll systems, e-commerce platforms, checkout POS, and credit card merchant accounts. You can also connect it with your AccountEdge cloud account for storing financial records and documents online. The software is offered for a one-time fee of $399 which is good for up to 10 users. No monthly subscription. Use it as long as you like to manage your finances, payroll, inventory, records, bank accounts, sales, general ledger, inventory, purchases, contacts, and more. Tons of features. On top of the long list of financial and business tools, you also get additional capabilities like robust emailing of invoices, payment receipts, POs, and other forms and documents; enhanced searches for faster viewing and retrieval of accounts, contacts, and files; easier selling of a group of items by creating item kits; calendar events and reminders; and much more. Top quality service. The vendor’s support page is filled with self-help resources, support library, discussion forum, and knowledge base. There are also email support, webinars, training guides as well as a helpline that connects you directly to AccountEdge experts. Cloud-hosted accounting system SlickAccount is built to cater to the needs of India-based businesses and organizations as well as other companies located in over 20 countries. It specializes in GST accounting but also offers a wide range of other functionalities ranging from inventory management, MCA reporting, income tax reporting, invoice creation, and double entry bookkeeping. What makes this platform unique is that other than managing your finances and making sure that you are getting the money you’re owed on time, it also allows you to process payments within the platform. It even comes with its own set of bank-grade security tools to help you safeguard your data from prying eyes. For pricing, SlickAccount offers four enterprise pricing packages that are bundled depending on the number of users you will be enrolling into the system as well as the modules you’ll be needing. Prices range from ₹3500/year to ₹14,900/year. GST Accounting. As a software specializing in GST accounting, SlickAccount can create GST-compliant invoices in just a few clicks. In addition to that, it streamlines your processes by giving you the option to send these invoices and accept payments from within the platform. You can even automate this to further boost productivity. View all information from one dashboard. With SlickAccount, you get a single, integrated platform for managing all your accounts and records, and viewing them from different perspectives and time period. Industry-specific functionalities. SlickAccount goes beyond basic accounting. They offer plans with functionalities that come with tools specifically for service-based businesses, trading firms, and manufacturing companies. With these, you can be sure that you are getting specialized tools that can handle the unique accounting needs of your industry. Which retail accounting software is right for you? The right retail accounting software for you is the one that can handle and meet the unique needs of your business. Aside from core accounting tools for invoicing, monitoring expenses and income, and producing financial reports, it must also be able to manage inventory, payments, purchase orders, vendors, customers, multi-channel selling, and multi-location business. It must also be usable – capable of supporting the number of people that will use it at its given price or plan; accessible through the different devices you use such as desktop and mobile; and scalable regardless if you’re crunching small or big data, handling few or dozens of sales transactions, and tracking low or high volume inventory. If you want the most robust accounting software that can help you manage your financials and everything else, you can’t go wrong with QuickBooks Enterprise for retail which is our top pick. Down the line, it has specific functions like billing, invoicing, vendor payments, expense management and more that will go a long way in ensuring that your business is financially healthy. The best way to test the product is to sign up for a QuickBooks free trial.